Check it out! 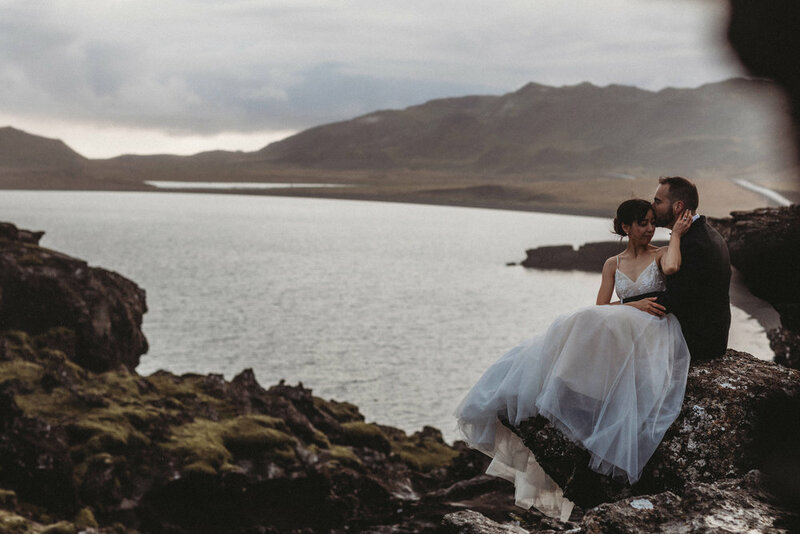 This session made it onto Wandering Weddings! Anne had messaged me a few weeks prior to her visit with her then finance, Christian, about booking a honeymoon session with me. 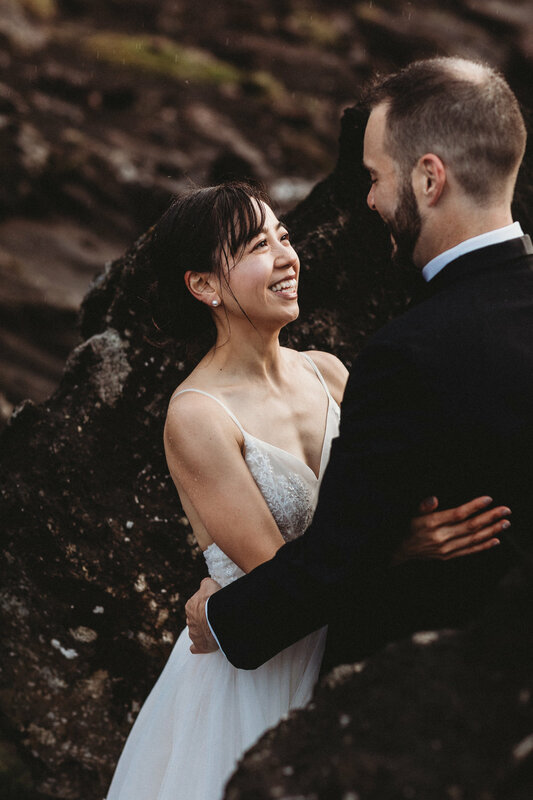 They were coming from Canada where they were having their more traditional wedding, but they wanted a honeymoon session with an elopement feel as well. After speaking with them, learning about their obsession with travel and the outdoors, I knew we would be a great fit and have so much fun together. Anne was bringing Christian to Iceland AS A SURPRISE! 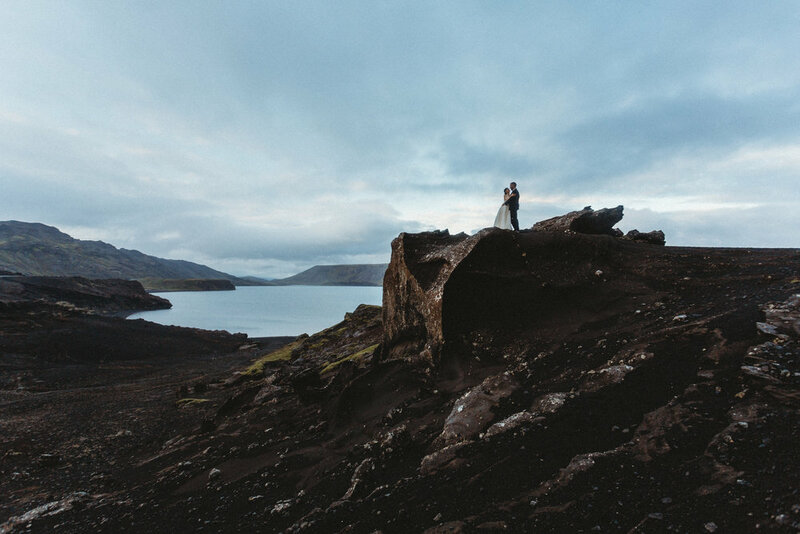 She told him that they were going to Vancouver for their honeymoon, and it wasn’t until their wedding reception where she spilled the beans that they were actually heading off to Iceland! (Basically, the best surprise, ever). She played a little game with him where he had to spell out a word, and at the end when he saw I-C-E-L-A-N-D and said he was completely confused. She had to then explain to him what was going on and then he was STOKED. 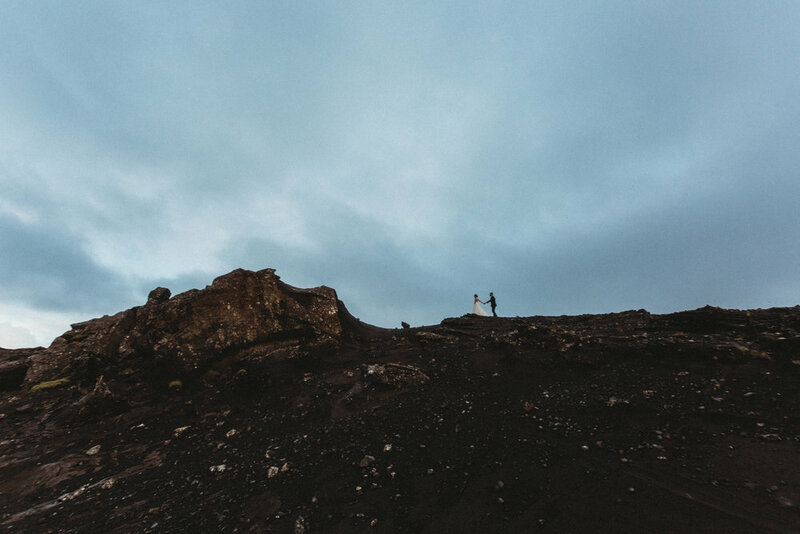 They made their way to Iceland the following day, and then a few days after that met with me. The weather was as weather is in Iceland, it was being really windy and rainy, but they were both completely up for it. In fact, Anne was embracing it and kept mentioning to me how she is an outdoors person and really loved being in some wild weather. MY KIND OF PEOPLE! Anne was having the time of her life and it was adorable.and we all got completely soaked. 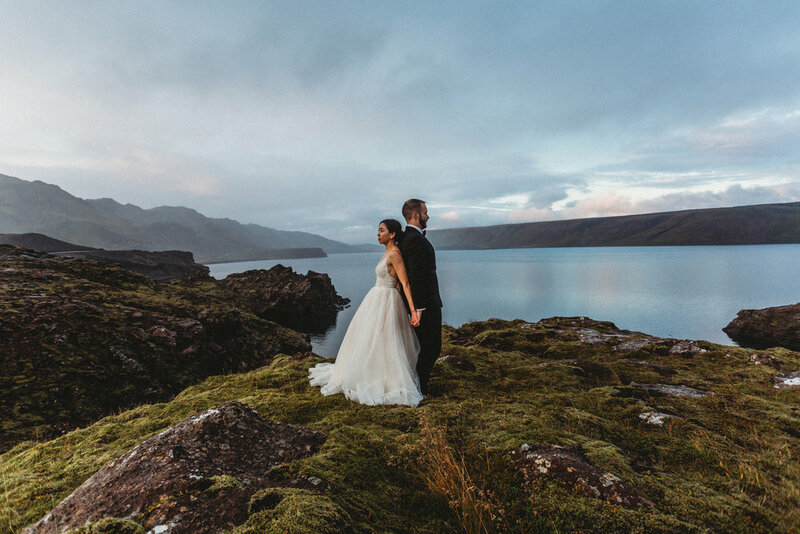 We played around one of my favorite little spots in Iceland, hiked up and down rocks, stood on some amazing areas overlooking the water (and not harming any of the moss or walking in areas we were not supposed to be in! ), and had a serious BLAST the entire time. I don’t think we all stopped talking or laughing for more than a few seconds at a time for me to take the photos. When we dove back to Reykjavik, the sunset was epic since it was raining and we jumped out of the car and took a last few shots. This couple was just the most kind, fun, adventurous spirited couple and I know I made some friends for life.